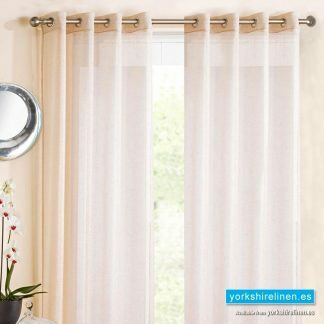 Voile Curtains from Yorkshire Linen, Spain. 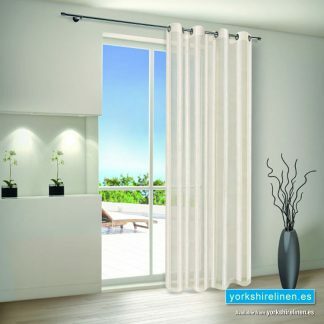 Large range, great prices. 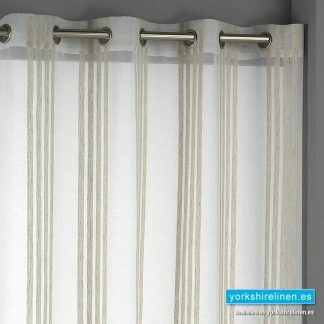 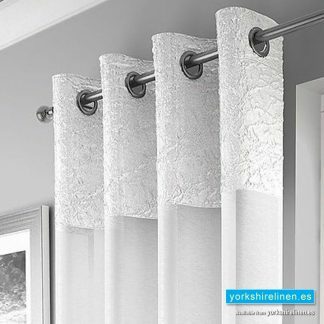 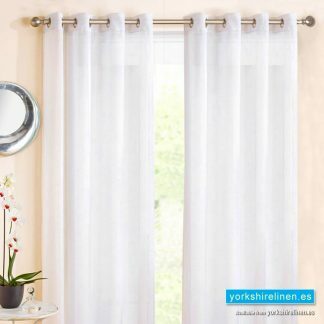 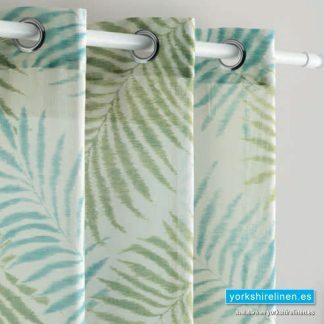 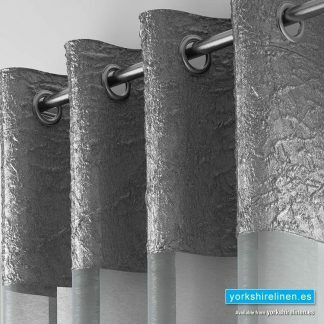 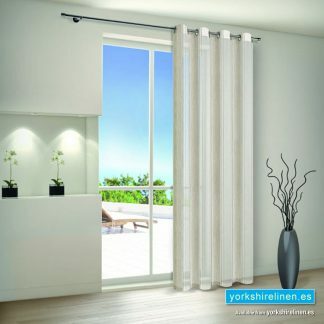 The Yorkshire Linen, Spain range of voile curtains adds the perfect finish touch to your room. 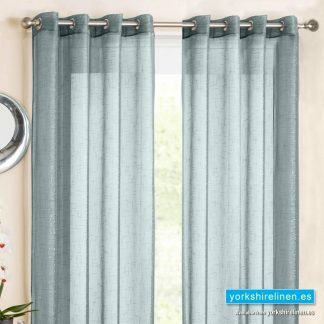 Create a subtle design with our voile curtains – inside or outside your window frame – to retain privacy but also let the sunshine in to your home. 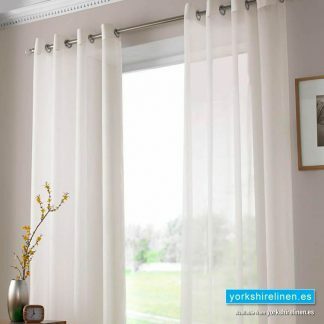 Available in a variety of colours and designs, including our classic traditional white voile panels, voile net curtains give a light airy feel to your windows. 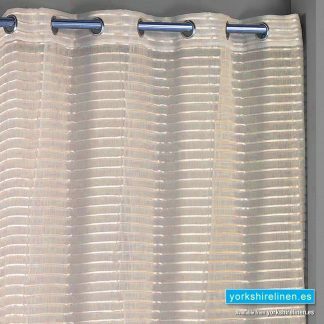 Add sheer elegance to your windows and see our selection of voile net curtains, voile panels and curtains available. 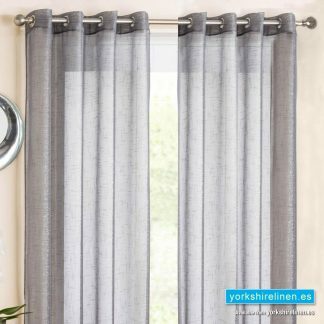 Voile curtains make a great addition to French windows or even in the doorway to your garden not only to look great but also stop any unwanted flies or insects out of the house during summertime. 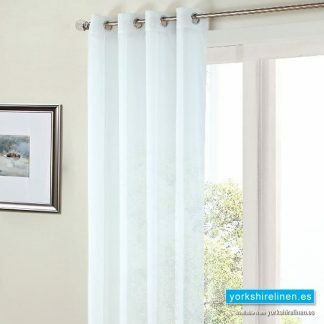 Voile curtains are similar to net curtains, but tend to come in a wider range of colours and designs. 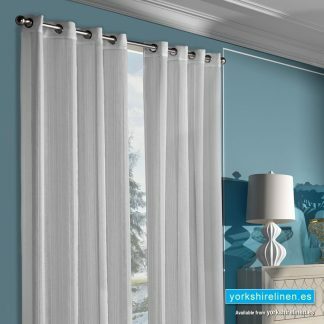 Net curtains are usually available only in white and off-white, and are made from synthetic fibres, whereas voile curtains are generally made from natural fibres or a blend of natural and synthetic fibres. 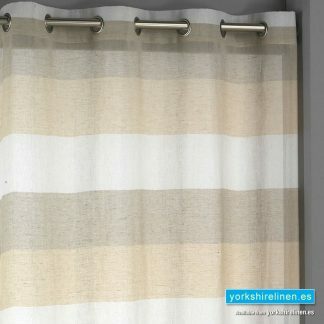 Questions about the Marrakech Glitter White Voile Panel?